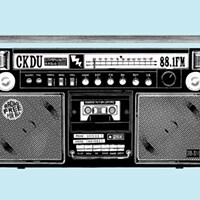 It shouldn’t come as a surprise that CKDU once again earns the gold for Best Radio Station For Local Music. After all, the longtime college radio station is a veritable institution in this town. It’s where bands get their first play, superstars are still in heavy rotation and the finest music minds in the city spin tales and must-hear tunes. Don’t believe us? Adjust your dial to 88.1 FM and open your ears to the Saturday Morning Musical Box, Halifax is Burning or dozens of other locally crafted symphonies of sound.